Living in Seoul is not only an exhilarating joyride but one can also come across quite some difficulties and culture shocks. 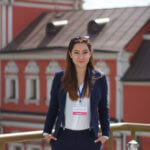 Here are my top five tips for living in Seoul – whether as an exchange student, expat or just as a tourist. In South Korea you use the “t-money” card to pay for public transport. One subway ride costs 1,250 Won, so around 1 Euro. Fortunately, this t-money card can be used in every city around South Korea in buses as well as taxis to pay for the fare. The most important thing to know about the Seoul Subway is that it closes between around midnight and 5.30AM, so you need to know how to get home in case you are going out – definitely download the Seoul Metro App! 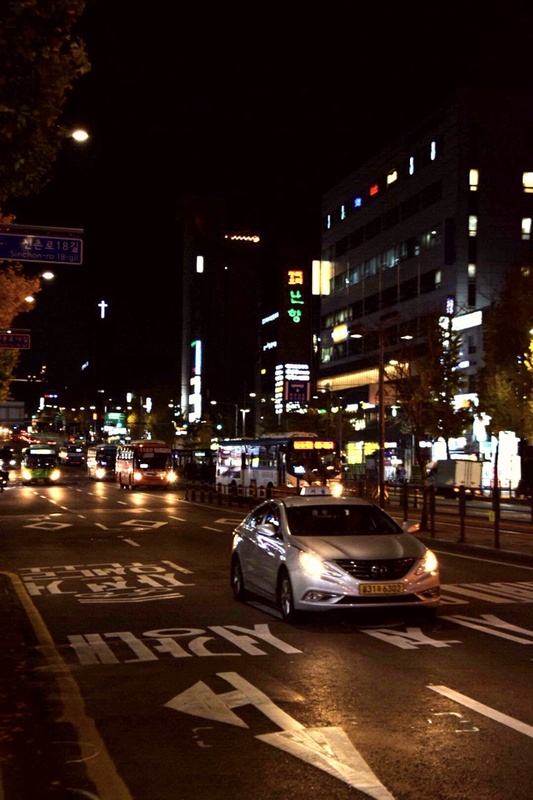 Night buses do not run that frequently to every part of Seoul, so it is better to check how to get home before – usually taxis are your best options. While taxis themselves are a lot cheaper than in Europe (around 15 minutes in a cab will cost you probably around 8 Euro, and if you are a group of at least 3, it does make sense to consider taking a cab). In case you want to take a cab, make sure to download Kakao Taxi through which you can just order a taxi – just beware of the fact that sometimes the taxi drivers call you to ask where exactly you are, and they usually don’t speak English. Google maps sometimes does not work as well, so do consider downloading the Korean alternative Naver Maps or Kakao Maps. Koreans love cafés, and if you come to Seoul you will understand why. You can find any type of café your heart desires, and each one of them will be Instagram-worthy. You can find chains like Angel-in-us, The Coffee Bean & Tea Leaf or A Twosome Place quite commonly everywhere and some bakeries like Paris Baguette or Tous Le Jours that also sell decent coffee. Koreans love to drink their coffees iced, and their iced Americano is holy. Iced drinks are slightly more expensive than hot drinks, but in my personal opinion, the coffee isn’t very strong anywhere – except for at Paul Bassett, but it is also more expensive. A hot cappuccino will cost you usually between 5,000-6,000 Won (3,50-4 Euro) in these places. Cheaper chains are places like Hollys Coffee or Ediya. However, if you are up for an adventure, Korea has loads of themed cafés just waiting to get explored by you. 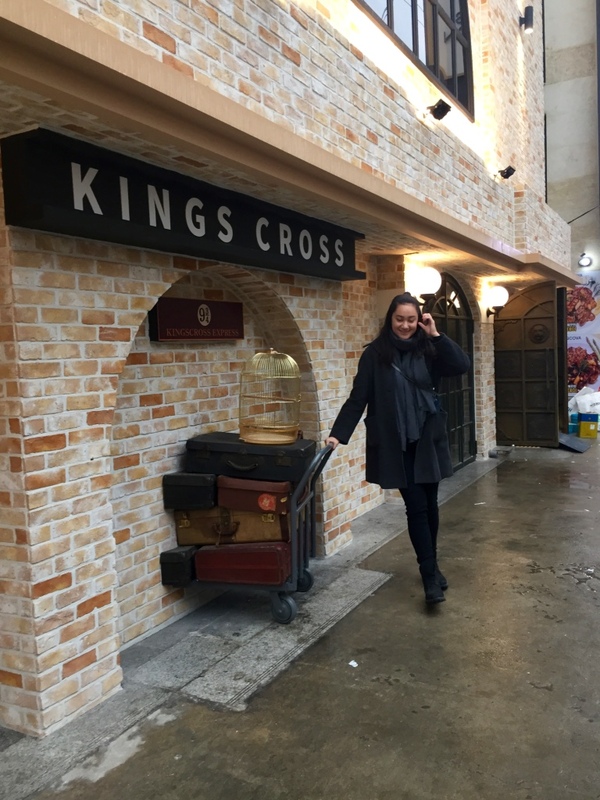 A highlight is definitely the Harry Potter themed café in Hongdae called 934 King’s Cross (Seoul Mapo-gu Seogyo-dong 417). There are many that are hidden away on higher floors and I absolutely loved for studying, such as the Dok-dabang, which is right outside the Yonsei University main gate (Seoul, Seodaemun-gu, Changcheon-dong, 31-4 Dok-suri Building, level 8) or the Ewha Dabang (Seoul, Seodaemun-gu, 75 Ewhayeodae-gil, Ewha Tower 8F). My personal favourite is probably the Raintree Café (53-15, Daehyeon-dong, Seodaemun-gu, Seoul), which feels like you completely entered another world. Very comfortable seating areas and great pancakes, I spent a lot of time studying (and occasionally napping here). If you go regularly to a specific café, don’t forget to collect your stamps on a card to get a free drink! samgyeobsal – pork belly – though I think any type of galbi – ribs – is tastier as it has less fat is usually softer meat. 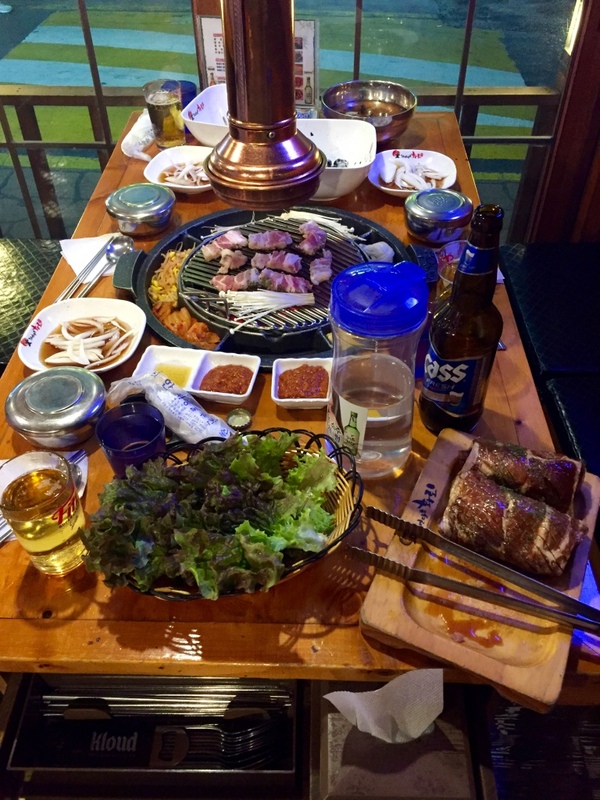 Koreans gobble down the meat with soju, a liquor traditionally made from rice which tastes like a watered down version of vodka, which is not necessarily for everyone. If you don’t like the original soju, go for one of the flavoured ones, lemon and grapefruit are both quite good, peach is too sweet. Another popular meal is jjimek – a combination of the Korean words that mean chicken and beer, and you can find tons of restaurants offering fried chicken which you can have with Korean-brand beers like Cass. A not so well-known dish outside of Korea is jjimdak which essentially is steamed chicken marinated in Korean soy sauce with vegetables and originated from the Andong province. I have not found this dish outside of Korea – so definitely try this at premium jjimdak which is a chain offering quite a good deal. If you have a weaker stomach, some of the other typical Korean dishes might not be for you, such as chicken feet or intestines, which do take some time to get used to. As you might be able to tell, Korean cuisine is quite meat-heavy, so for vegetarians it might be a lot more difficult – Korea still has a lot to offer but you might be quite restricted in terms of trying traditional Korean dishes. Korea has a lot to offer, and I spent half a year in Seoul and I still haven’t seen half of it. 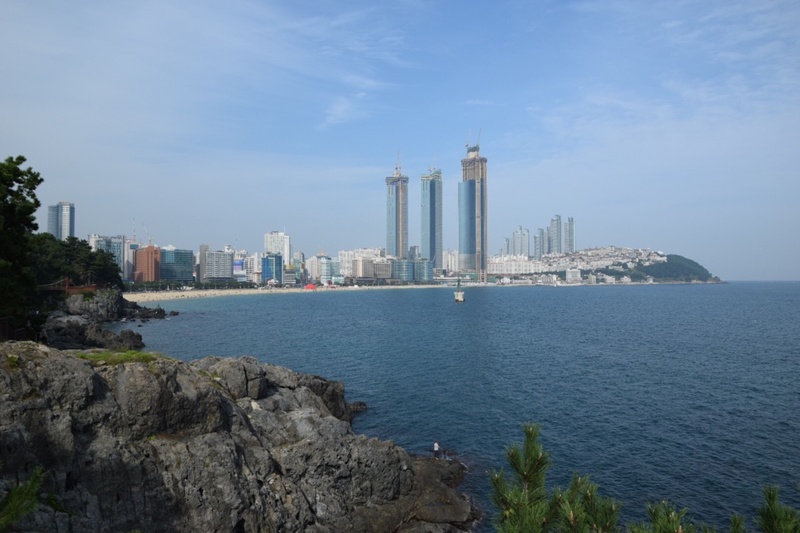 While I do recommend taking a weekend trip to Busan in the south, or if you’re here in the summer to visit one of the islands like Jeju-do or a personal tip and secret to most Koreans – Bijindo. However, you can also spend two weeks in Seoul and still be occupied the entire time. We can begin with one the traditional palaces, like Gyeongbokgung or the UNESCO cultural heritage site Changdoekgung or the smaller lesser known Deoksugung. Be sure you catch the changing of the guards at Gyeonbokgung which happens twice a day at Gwangwhamun, the main gate at 10AM and 2PM except Tuesdays. 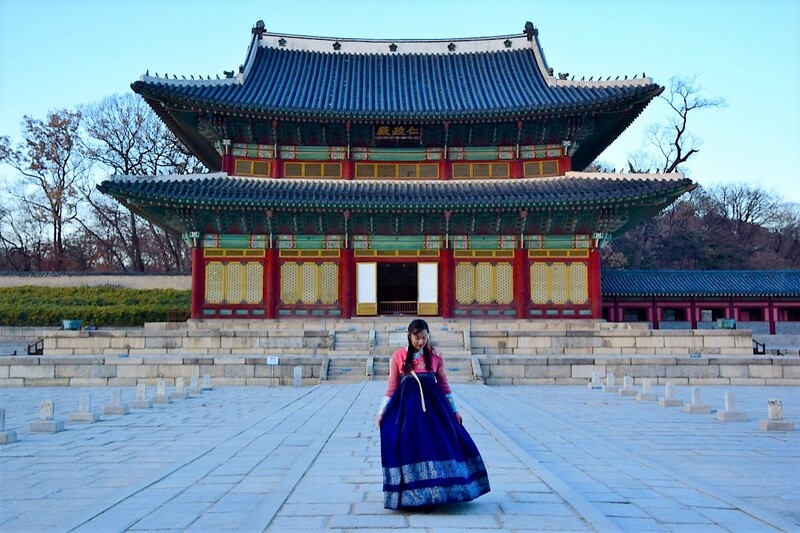 You can also rent hanbok, the traditional Korean clothing and then you have free entry to the palaces. You can rent a hanbok starting at 10,000 Won, but it can go up to 50,000. If you’re into hiking, Korea will be your paradise – hiking is basically the Korean national sport. If you’re a pro, then try and go for Bukhansan, which will definitely be a day trip, but you can start the hike close to the metro station Gupabal. 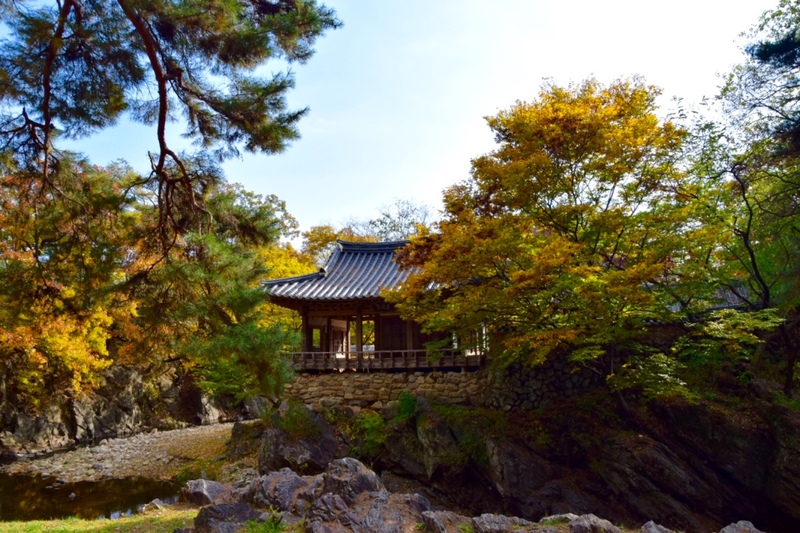 For smaller hikes I recommend either Ansan which is located behind Yonsei University or Inwangsan which is also close to Gyeongbokgung, both of these hikes shouldn’t take you more than an hour to the top. Besides café hopping and enjoying the Korean cuisine, Korea is also a shopping paradise. Enjoy shopping in the streets of Myeongdong, or in the Sinchon area, or go to the Express Bus Terminal in Gangnam to enjoy some underground shopping in street shops in Gangnam. But be careful not to get ripped off! Korean beauty is all the hype around the world so be sure to stop at Olive Young, the Korean equivalent to the British Boots or the German dm, or find your favourite brand among Missha, Skinfoods, Nature Republic and many more, but beware of the whitening products, while those are all the rage in East Asia, those products tend to be not so popular over here in Europe. If you are in Korea just for a short while, you probably won’t need a SIM card, since there is Wi-Fi everywhere. In cafés the password is usually written somewhere quite visibly, in bigger department stores like Hyundai or Lotte, there is usually a free open Wi-Fi. In public places the Seoul Public Free Wi-Fi should work. At metro stations FreeUZone is also a free Wi-Fi that usually works – if not try either the T Free Wi-Fi Zone or the KT Free Wi-Fi, for both you might have to watch a bit of advertisement. If you are in Korea for longer and wish to get a SIM card you can do so at any of the big companies, olleh, KT or SKT. A prepaid SIM might make most sense, it should cost around 7,000 Won, and then you add a data plan and a calling plan to your needs and you can always recharge it at any shop of the company you are with or buy prepaid internet at any convenient store. Just be aware that they might not speak English at the phone shop and you need either your passport or your Alien Registration Card. 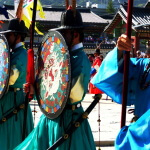 Between modernity and tradition, Korea is a fascinating country. If you are more interested in what Korea looks like, do check out my latest YouTube Video.